The second edition of this innovative textbook introduces students to the ways that society shapes our many forms of entertainment and in turn, how entertainment shapes society. 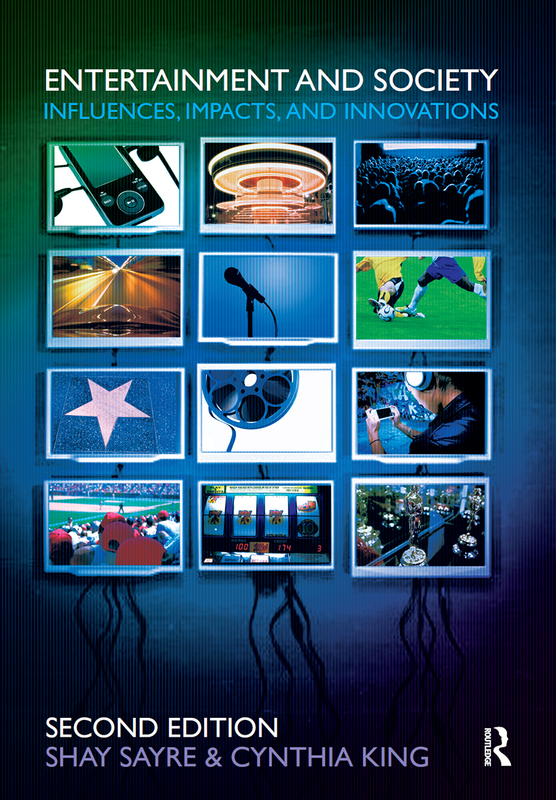 Entertainment and Society examines a broad range of types of entertainment that we enjoy in our daily lives – covering new areas like sports, video games, gambling, theme parks, travel, and shopping, as well as traditional entertainment media such as film, television, and print. A primary emphasis is placed on the impact of technological and cultural convergence on innovation and the influence of contemporary entertainment. The authors begin with a general overview of the study of entertainment, introducing readers to various ways of understanding leisure and play, and then go on to trace a brief history of the development of entertainment from its live forms through mediated technology. Subsequent chapters review a broad range of theories and research and provide focused discussions of the relationship between entertainment and key societal factors including economics and commerce, culture, law, politics, ethics, advocacy and technology. The authors conclude by highlighting innovations and emerging trends in live and mediated entertainment and exploring their implications for the future. The new edition features updated examples and pedagogical features throughout including text boxes, case studies, student activities, questions for discussion, and suggestions for further reading.